Bryan Bedder/Getty Images for Tony Awards ProductionsLiu Wen at the 2017 Tony Awards in New York in June 2017. 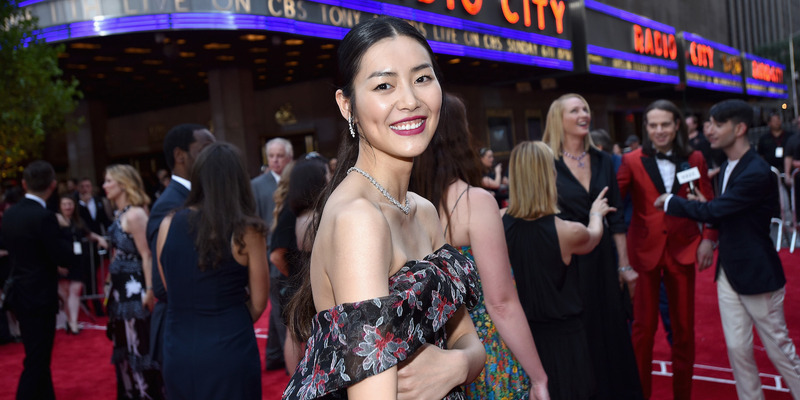 Liu Wen is a woman of many firsts. She’s the first East Asian model to work for Victoria’s Secret, first Chinese woman to grace American Vogue’s cover, and first Asian to ever make Forbes’ list of highest-paid supermodels. While Liu success can be attributed to the fashion industry’s growing focus on Chinese consumers, she also works insanely hard for it. 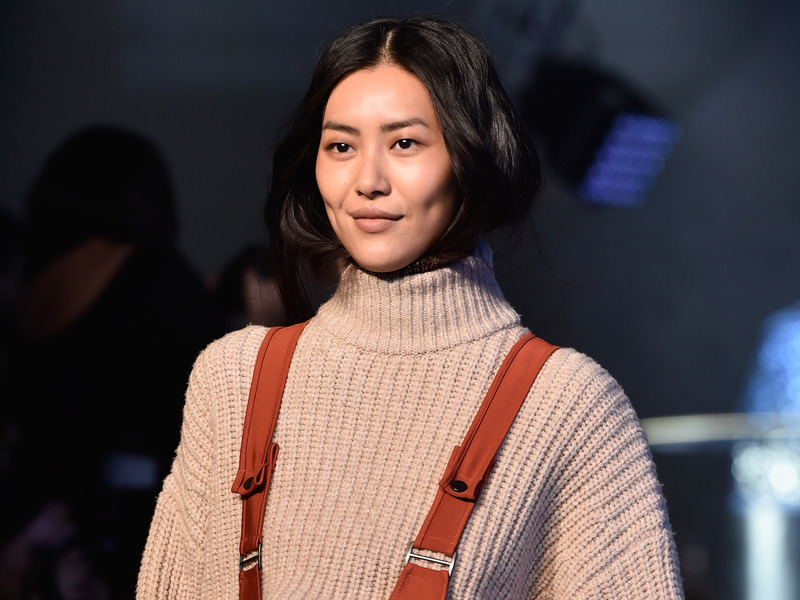 Meet Liu Wen: The first East Asian model to walk the Victoria’s Secret runway, first Chinese model to grace American Vogue’s cover, and first Asian model to ever make Forbes’ annual list of highest-paid models. Ian Gavan/GettyLiu Wen at the Cannes Film Festival in May 2012. She was born in Yongzhou, a city in southern China. At 5-foot-10, she towered over her classmates while growing up. “I developed a habit of bending down when speaking to others, as if my back was permanently hunched,” she said in 2014. Tristan Fewings/GettyLiu has her photo taken at the Cannes Film Festival in 2016. She never planned on being a model — her first foray into the industry was when she won a modelling contest in 2008, aged around 17, to win a new computer. “I didn’t have a clear goal [at the time] — I just wanted something that would allow me to travel around the world,” she told Business Insider. Vittorio Zunino Celotto/Getty Images for FendiLiu Wen at the Cannes Film Festival in 2014. Her parents also encouraged her to join. “They thought it would help my confidence (and posture! ),” she told BI. Frazer Harrison/Getty Images for Victoria’s SecretLiu signs a poster at a Victoria’s Secret shop in Shanghai in November 2017. She moved to Beijing to pursue a modelling career shortly after. That same year, she was scouted for her first international fashion show — for Burberry at Milan Fashion Week in 2008. “I didn’t understand anything because I couldn’t understand English,” she told CNN. “I just listened to the music and followed my feelings.” Watch her in the video below. A year later, she became the first Asian model to ever grace the Victoria’s Secret runway, where she walked alongside Miranda Kerr, Heidi Klum, and Rosie Huntington-Whiteley. Paloma F./YouTubeLiu walking the 2009 Victoria’s Secret fashion show in New York City. At the company’s show in Shanghai last November, she was one of seven Chinese Victoria’s Secret models walking the runway. Here she is with three of them. Theo Wargo/Getty Images for Victoria’s SecretFrom left to right: Liu, Ming Xi, Xiao Wen and Sui He at the Victoria’s Secret Fashion Show after party in Shanghai in November 2017. Liu was named one of Forbes’ highest-paid models of the year in 2013, when she earned $US4.3 million (£2.75 million at the time). She is the first Asian model to appear on this list. Matt Winkelmeyer/Getty Images for Victoria’s SecretLiu at the 2017 Victoria’s Secret Fashion Show In Shanghai. Liu has stayed on the annual list ever since. She was the eighth highest-paid model in the world last year, when she earned $US6.5 million (£4.7 million) — $US500,000 (£360,000) more than Bella Hadid. 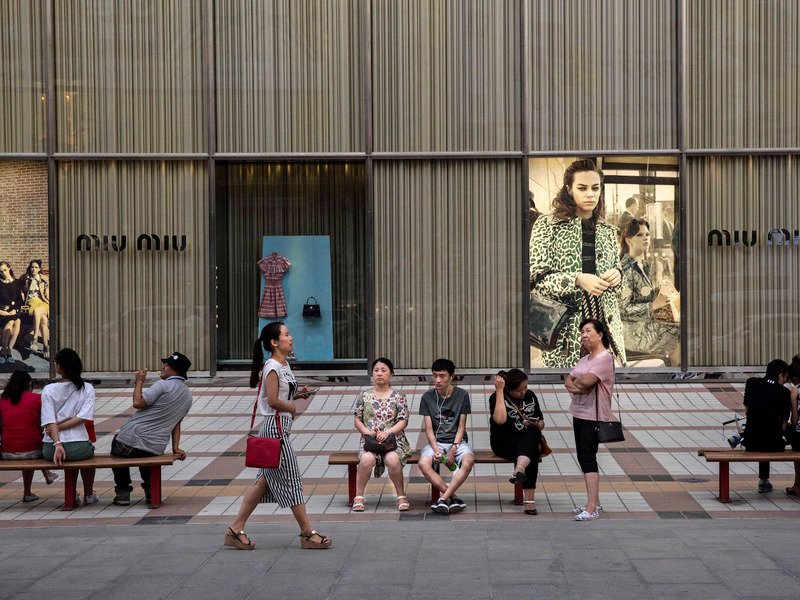 Kevin Frayer/GettyShoppers sit in front of a luxury store in Beijing, China, in August 2015. As an international model, Liu’s travels have taken her around the world, from Cannes to New York to Milan. Pascal Le Segretain/GettyLiu at the 2017 Cannes Film Festival. She’s become such a seasoned traveller that she came up with a hashtag playing on her name, Wen, to showcase her photos taken from planes — #WenInFlight. Here’s one of them. “Most of the time, I am on a flight because of a job somewhere,” Liu told BI. “Only when the work is finished can I spend a little time to explore the local area.” She added that she only started taking personal trips in between assignments last year. A fun pizza party ???????? with @lilyaldridge @karliekloss @kendalljenner in @voguemagazine! Thank you for inviting us to this meal @mariotestino @tonnegood @helenasuric @jamespecis @isamayaffrench! ???? Happy belated birthday to the legendary @rogerfederer! Many thanks to you, your family, and Anna Wintour @voguemagazine for having me at the celebration! Wishing you best of luck at the @usopen ???? … and Wendi Deng Murdoch, the ex-wife of Rupert Murdoch. They even celebrated Chinese New Year together. That post with Deng Murdoch angered some of her Chinese fans, though. In the original caption of the post, she wished her followers a “Happy Lunar New Year,” rather than “Chinese New Year” — a term used to include other Asian cultures that celebrate the festival, but is rarely used in China. 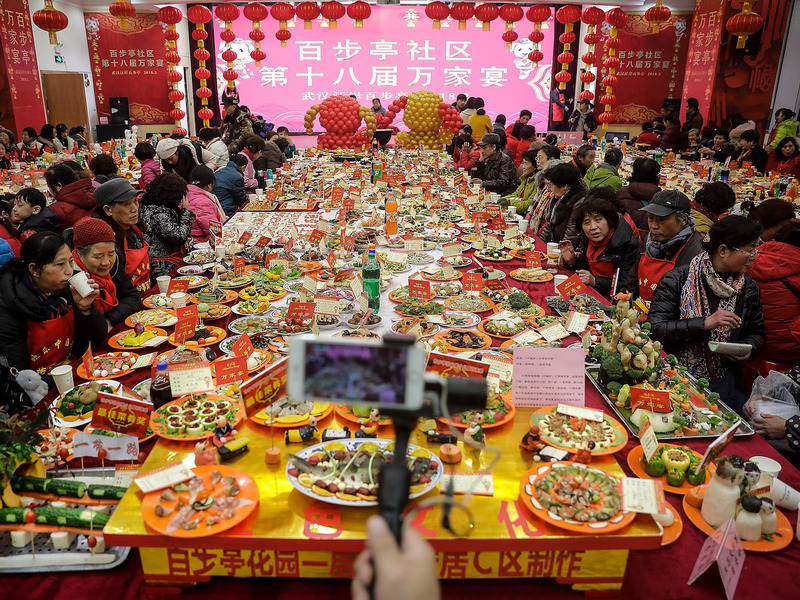 Wang He/GettyA neighbourhood Chinese New Year celebration in Wuhan, China, in February 2018. Jamie McCarthy/GettyLiu backstage at the 2010 Victoria’s Secret Fashion Show in New York. “But I don’t think I’ll ever leave fashion completely — I love this industry very much for all its creativity and constant changes,” she said. Theo Wargo/GettyLiu at the 2010 Victoria’s Secret Fashion Show in New York.